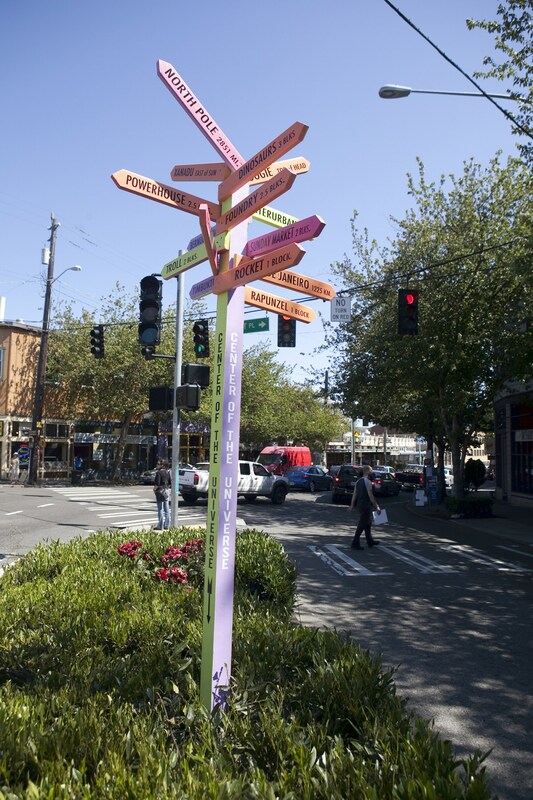 A band of rogue sign makers, instigated by local artist Maque daVis, erected a sign on a pedestrian island pointing directions and distances to various landmarks – TROLL; 2 BLKS, LOUVRE; 9757 KM, MILKY WAY; 69 LT. YRS, “NOOGIE; TOP OF HEAD – thus proving Fremont’s centrality. A couple years later the Metropolitan King County Council issued a proclamation and in 1994 put up an “official” sign. Fremont’s decline began in 1998, when Adobe came, moving into its new building, a modern, soulless edifice put up without regard to its eccentric surroundings. 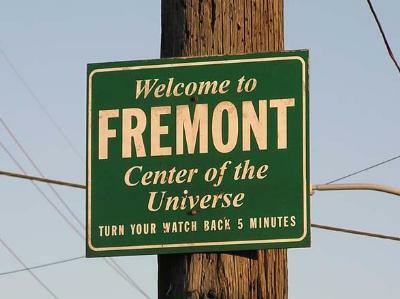 The resulting gentrification and rising rents over the past two decades have driven out the artistic community that made Fremont its home and gave the neighborhood its quirkiness. Even the beloved Red Door Ale House has transitioned to upscale. 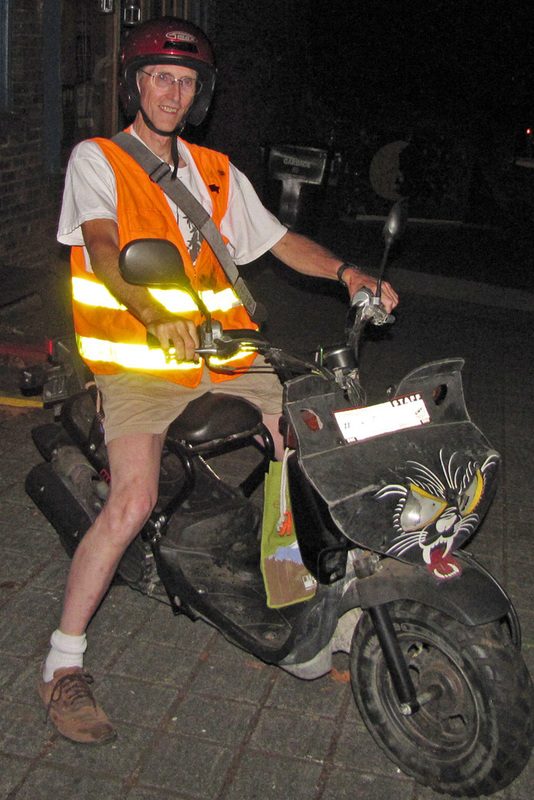 Mr. daVis, who no longer lives in the neighborhood, is finishing work on a replacement sign. Keeping with the spirit of Fremont, the new one is being built with materials donated by local merchants and erected without permits or other bureaucratic interference. rating all its 1.4 billion citizens. A person’s “social rating” score will determine how trustworthy one is. Transgressions such as a traffic infraction, a loan default, criticizing the government or not properly caring for one’s parents will deduct points from one’s score. The system will track hobbies, purchases and even who a person’s friends are. 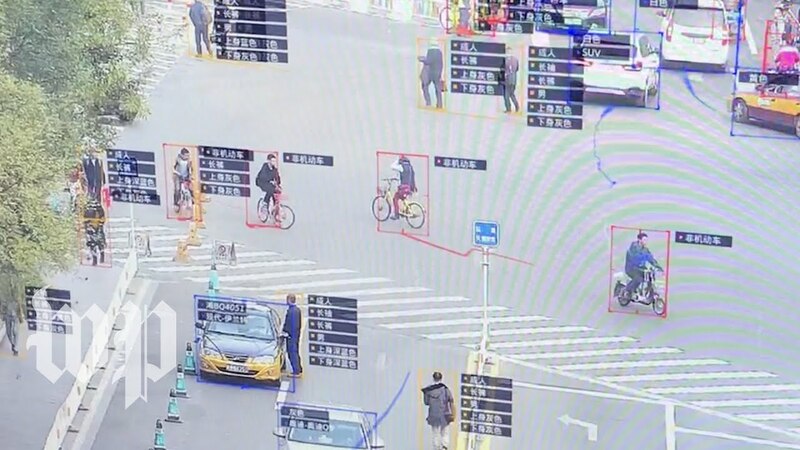 A low score will result in myriads of restrictions, from person’s job prospects, what schools children may attend, even access to restaurants or high-speed Internet. The day after Thanksgiving, while we were still semi-comatose from overindulging on food and family, the White House quietly released the latest report on the state of the world’s climate. Friday afternoon is typically news-dump day, a day for the government to release information it hopes few will read. (You can read it here.) The current occupant of the White House has already gone on record that he doesn’t believe it. Thomas Dartmouth Rice, a white man, was born in New York City in 1808. He devoted himself to the theater in his twenties, and in the early 1830s, he began performing the act that would make him famous: he painted his face black and did a song and dance he claimed were inspired by a slave he saw. The act was called “Jump, Jim Crow” (or “Jumping Jim Crow”). Megyn “Santa is white” Kelly reportedly has settled with NBC after her show was cancelled halfway through her three-year, $69 million contract. The stunning ignorance supporting her defense of wearing blackface for Halloween was not enough to invalidate the $30 million she will still collect on the deal. 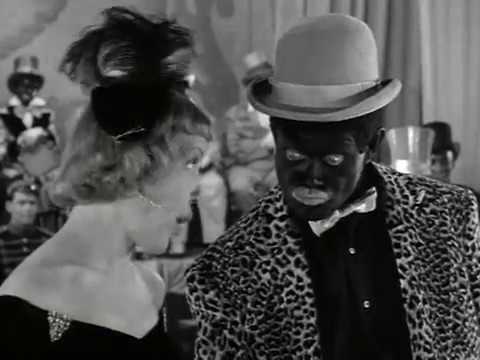 White entertainers performing in blackface, caricaturing and demeaning people of color, amused white audiences. Black folks have been entertaining white folks in this country for a couple centuries. It’s a blurry line between the joy of performing and cynical pandering. Posted byGeorge Rothert November 24, 2018 November 25, 2018 Posted inPersons, PlacesTags: Jim Crow laws, Kenny Mann, Liquid Pleasure, Megyn Kelly, Oxford American1 Comment on 21st Century Minstrels? You can watch the entire episode here. 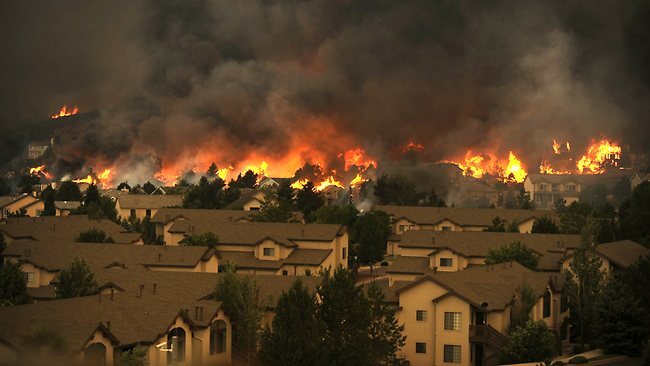 In fact, these fires are fueled mostly by grass and chaparral; forest land, not so much.